The Future of SolveoHow might we design and develop Solveo’s offering to new markets? Solveo is a crowdsourced competition-based startup that inspires and delivers innovative culture to enterprises. Guided by the strong belief that the future lies within the millennials and Solveo use the power and innovative thinking from visionary students to deliver fresh, creative ideas and incorporate them with expert knowledge to bring groundbreaking solutions. The ultimate goal is to create an innovation community of talented like-minded students and ambitious modern companies. 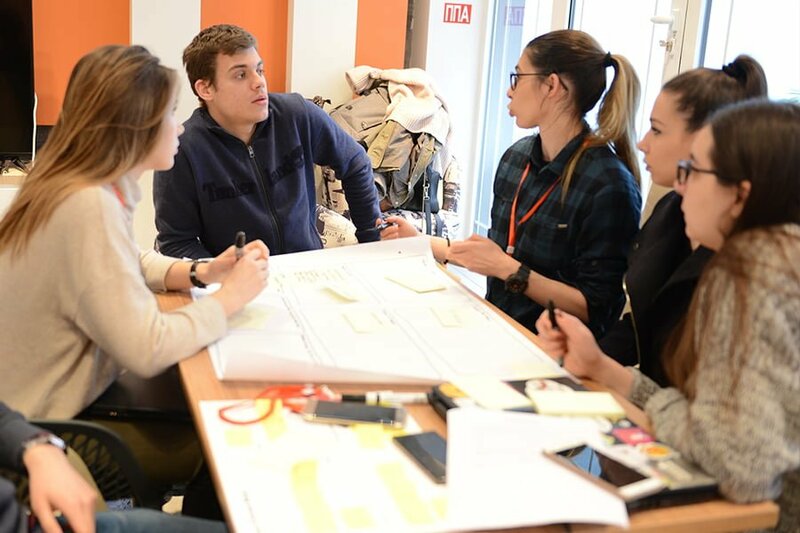 It is a place where through a unique fully facilitated process, creative workshops, and mentoring problems are identified, and up-to-speed creative solutions are developed. 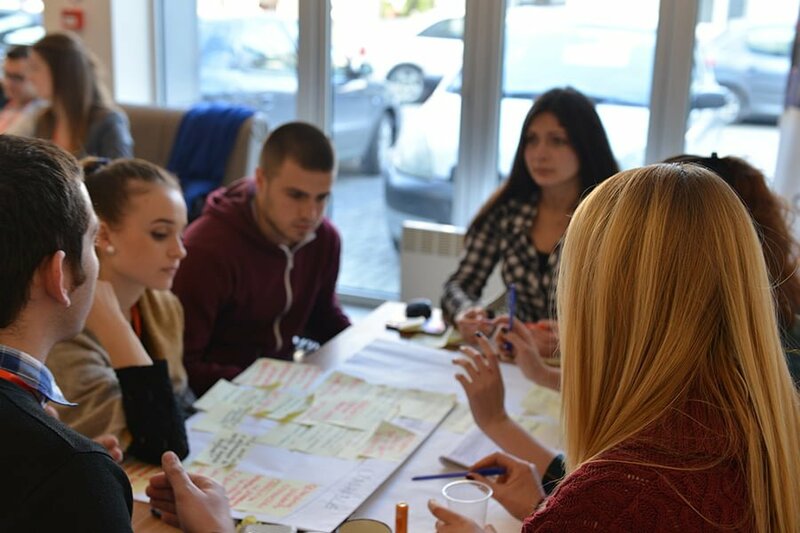 After proving its concept locally in Macedonia, the next step of Solveo was to expand regionally and globally. The challenge was to discover, develop and test ways of introducing Solveo’s offering to new and different markets. 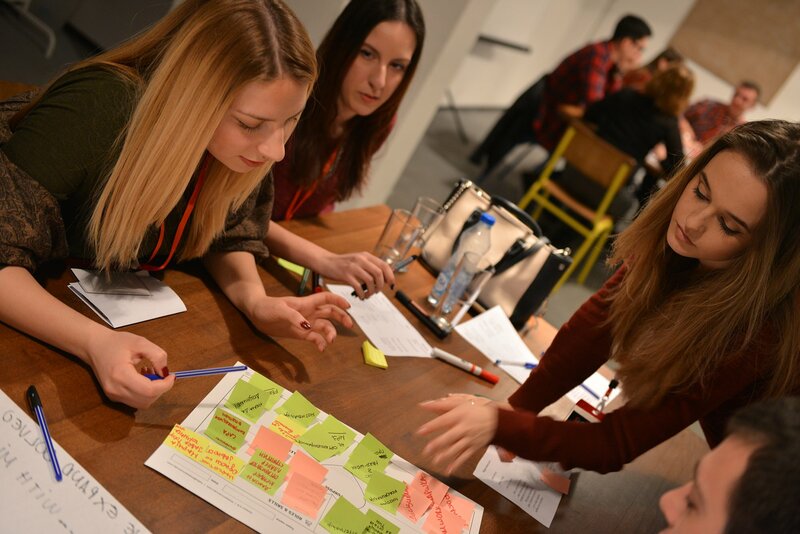 During the competition, the participants had hands-on experience on how to help a company expand globally. 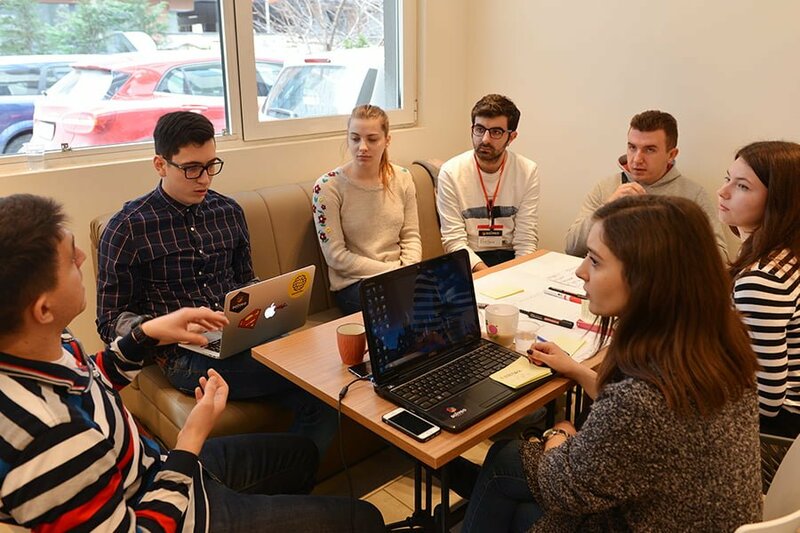 During the three week project, four multidisciplinary teams of five participants together with the full Solveo team and different industry experts worked on how best to introduce the solveo offering to new and different markets. 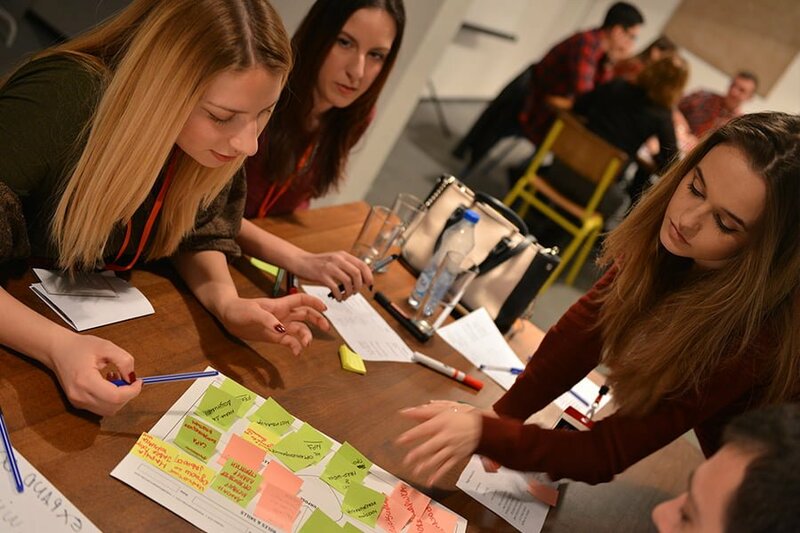 The project kicked off with the participants going deep into Solveo’s current practices and its core values. After knowing who/what Solveo is the participants were able to identify who the competitors are and who the potential partners, users and clients on the new markets will be. The thorough research phase was intended to inform the teams decisions on creating a strategy and action plan for creating a scalable and viable business model that can help Solveo grow globally. 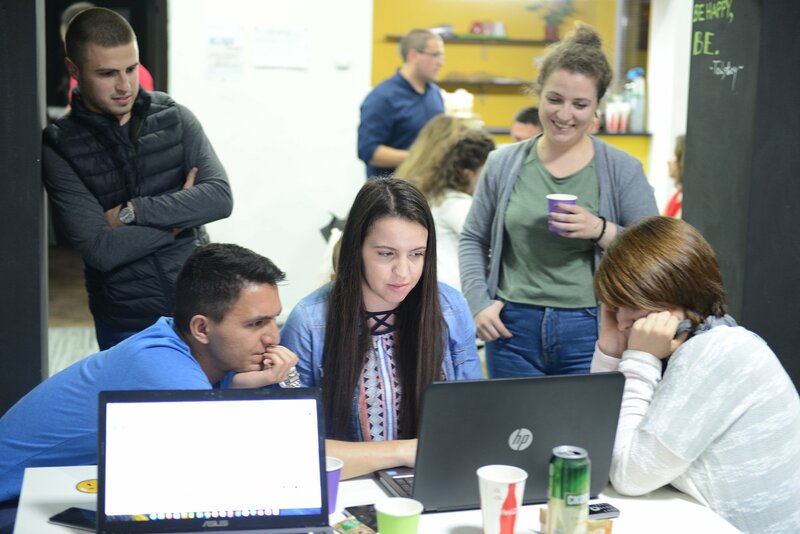 All the teams developed novel strategies, they contacted different potential partners and designed different digital platforms that would facilitate the growth of Solveo regionally and globally. In order to propose a better solution a deep understanding of the current dealings of Solveo was needed. After the most important values of Solveo were identified the final solution was one that included new ways of expanding the service to new markets and through offering different types of services to different clients. The proposed solution to expand Solveo globally was by offering its services online, as an addition to its current offerings.